2. Tai and Scot whisper about their original plan. 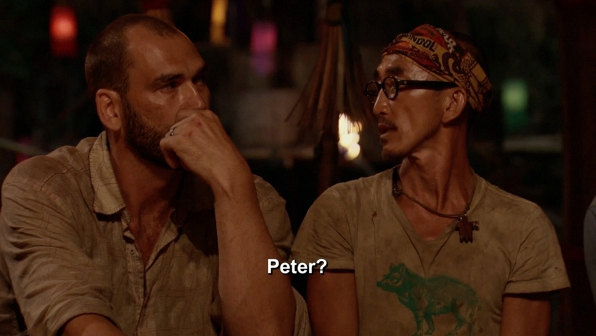 While Aubry was talking to Jeff at the Tribal in Episode 6, Tai and Scot whispered back and forth about their "original plan" to vote Peter out. Their not-so-discrete conversation caught the attention of everyone else, especially host Jeff Probst. All would be revealed minutes later when, with four votes against him, the Brains Tribe member was snuffed. Looks like the doctor was out this time. Watch the Tribal Council from "Play Or Go Home."